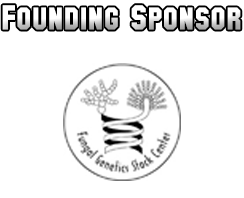 The Fungal Genetics Policy Committee invites you to attend the 27th Fungal Genetics Conference, sponsored by the Genetics Society of America. The meeting is held every two years at the Asilomar Conference Grounds, Pacific Grove, California (near Monterey, California). The conference will open on Tuesday evening, March 12 with an Opening Mixer from 7:30 pm – 10:30 pm and end on Sunday, March 17. Regine Kahmann, Max Planck Institute for Terrestrial Microbiology, will present the Perkins/Metzenberg Lecture on Saturday, March 16 at 5:45 pm, followed by the banquet and closing party. The Fungal Genetics Policy Committee (FGPC) is elected by the participants at the Fungal Genetics Confererence that is held biennially at the Asilomar, CA conference center. Their role is to oversee the organization of the meeting. Their goal is to ensure that all aspects are planned to optimize its success. The FGPC is composed of nine members; three are elected at each meeting for a six-year term. The Chair is elected by the members of the committee. Provide feedback to the Scientific Organizers on the scientific program to ensure that there is diversity in all aspects of the program. Diversity is defined as having plenary speakers that represent broad areas of fungal biology, organismal diversity, are balanced between junior and senior speakers, represent a balanced male/female ratio, and show geographic diversity. The committee also provides feedback on concurrent session topics and chairs to again ensure appropriate diversity and that all areas of fungal biology are represented. Appoint two people as Scientific Organizers of the subsequent meeting. For example, the Scientific Organizers of the 2015 meeting will be appointed at the 2013 Asilomar meeting. Provide feedback to the GSA on issues arising about the site and logistics of the meeting. All meeting questions should be directed to Anne Marie Mahoney, Mahoney@genetics-gsa.org, Genetics Society of America, 9650 Rockville Pike, Bethesda, Maryland 20814, telephone: 301-634-7039. The 2013 Fungal Conference logo design was created by Xiaoping Li and Mona Pokharel.